Most of us have felt this way at one time or another. There’s a reason to get rid of a vehicle and it makes sense in your head, but your heart hates the idea. The asking price is $4200.00, which seems reasonable, though I am not well-versed on VW Transporter price points. Find the ad here on KSL. Should you buy it? I doubt you can think of an argument against the idea, so yes. By the way, click here on Lady Lovin’ Lincoln ad text for the aforementioned Lincoln ad. 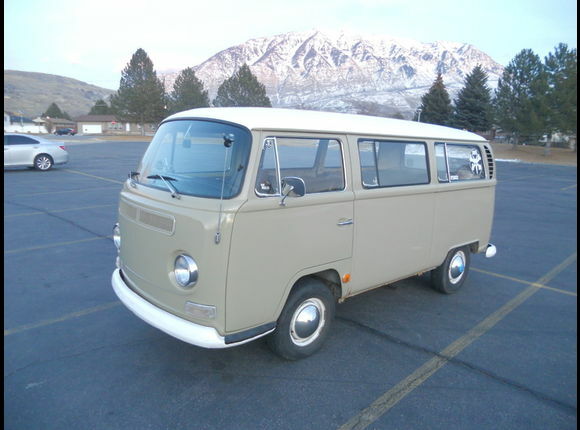 This entry was posted in 1960s, Imports (Euro), Van Love and tagged For Sale, Regret, Volkswagen Bus, VW Transporter. Bookmark the permalink.